​Family Owned and Operated for 21 years! Now accepting on line reservations. 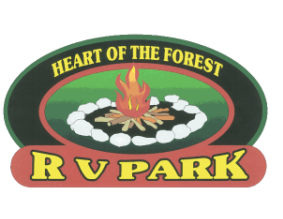 If you are looking for a quiet place to sit back, tell stories around the campfire and get back to nature with your kids, or just get away, Heart of the Forest RV Park is the place for you! We offer Rustic to 20/30/50 amp service with water and sewer. Our full hook up sites can accommodate big rigs with multiple slide outs and tow vehicles. We also offer pull thru sites for easy set up. Pets are welcome too. Sorry, no full hook up sites available this year. Sorry, no full hook up sites available for monthly or seasonal use. Our camp store (Whitetail Party Mart) carries ice, propane, Marathon gasoline, beer/wine/liquor, firewood, hand dipped ice cream and grocery items. Being located directly in the Manistee National Forest allows our guests to enjoy a wide variety of outdoor activities. We are minutes from the most beautiful rivers, lakes, hiking and biking trails that Michigan has to offer. Take a canoe, kayak or raft trip down the Big and Little Manistee or Pine River. Bike or hike at Big "M" trails, Pine River Corridor or the North country Trail. Our National Forests are abundant with the delicate morel mushrooms in the spring and plenty of wildlife for the bird watchers. Tippy Dam and it's backwaters are a short three miles from the camp. It offers good fishing from bluegills and crappie to walleye and some big pike. Or just do some boating and take in some of nature's best (brain food)! Fishermen come from all parts of the United States for the fall salmon run. We are 17 miles from Lake Michigan, if you like big lake fishing or there are many small inland lakes nearby for pan fishing. 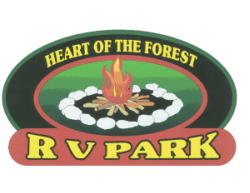 Fawn Crest golf course and Kozy Kitchen restaurant are a short walk from the park also. Check our links page; there are several outfitters and liveries in the area.